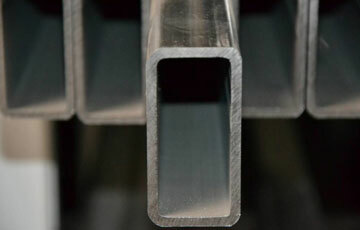 TRILOK STEEL INDUSTRIES is largest stockholder of Stainless Steel Rectangular Pipeto used in various industry verticals.As a largest stockholder of stainless steel Rectangular Pipe, we have huge inventory of Stainless Steel 304 Rectangular Pipe,Stainless Steel 304L Rectangular Pipe,Stainless Steel 316 Rectangular Pipe,Stainless steel 316L Rectangular Pipe and stainless Steel 201 Rectangular Pipe. We are also supplier & exporter of Stainless steel Rectangular pipe, are actually manufactured in compliance with international standards of quality and safety. 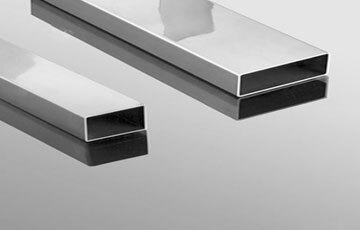 Trilok Steel Industries well known as Stainless Steel Rectangle Pipe Supplier.Buy SS Rectangular Pipeat affordable price in India. TRILOK STEEL INDUSTRIES offer a comprehensive range of Stainless Steel Rectangular Pipe in different thickness, different diameter length, and in different quality.SS Rectangular Pipesoffered by Trilok Steel Indutsries is highly resistant to many corrosive media, which also has good electrical, thermal and magneto-strictive properties. Generally, these Rectangulared steel pipeshave high corrosion resistance capacity, high deformability, high toughness and higher strength. In the construction industry, these Rectangular stainless steel pipesare widely used for all kinds of structural applications and fabrication projects where greater strength and superior corrosion resistance is required. Whenever, any customization is needed, these Rectangular pipes can be customized very easily.Trilok Steel Industries is specialized as providing Stainless steel Rectangular Pipe in Polished Grit 120 - 600 finish.Rectangular Stainless Steel Pipes are available. Stainless steel seamless Rectangular Pipe dimensions are nominated by outside diameter indicated by the NPS (imperial) or DN (metric) designator and sometimes referred to as the 'nominal bore' - and wall thickness, is determined by the schedule number. Stainless Steel Rectangular Welded Pipesare used for piping, heat exchangers and condensers in seawater systems, marine hardware, and sometimes for the propellers, crankshafts and hulls of premium tugboats, fishing boats and other working boats. Steel Rectangular Pipes should be used in nitric acid only in solutions of up to 0.5 % concentration at room temperature. They are also used in cooling circuits, ammunition, sea water corrosion-resistant assemblies, condenser tubes. 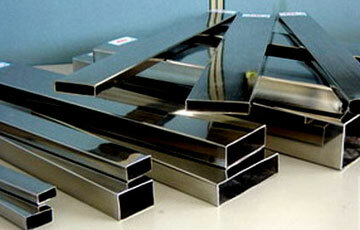 check latest updated price of stainless steel Rectangular Pipe. Steel EFW Rectangular Pipes stockist, SS Rectangular Pipes, Stainless ERW Rectangular Welded Pipe Exporter, Steel ERW Seamless Rectangular Pipe Trader, Stainless Steel Rectangular Pipes Exporter in India, Steel Rectangular Welded Pipes , Steel Rectangular ERW Pipe, Rectangular Stainless Steel Pipe Exporter, Seamless Stainless Steel Rectangular Pipes. Suppliers of Stainless Steel Rectangular Pipes, 304 Rectangular Steel Pipes, Stainless Steel Rectangular Pipe Exporter, Stainless Steel Rectangular Seamless Pipe, SS 304 Rectangular Pipe Weight Chart, SS 316 Rectangular Pipe Supplier in Mumbai, India. Stainless steel Rectangular Pipes are finished in accordance with customer needs regarding dimensional and wall thickness specifications as well as heat treatment for more demanding applications. In general a stainless steel Rectangular pipe is manufactured according to current standards API, ASTM, and ASME. If required for special projects we can also supply large diameter Rectangular pipes. The wall thickness is inch-pound units is Rectangulared to three decimal places in accordance with the Rectangularing method of Practice E29. The wall thickness in SI units is Rectangulared to one decimal place in accordance with the Rectangularing method of Practice E29.